The telecommunications and media sectors have developed quite separately in Greece. Telecommunications developed following the decision of the government in 1992 to proceed with the establishment of a competitive market for mobile telecommunications. That year, two licences for mobile networks were granted to two subsidiaries of foreign operators, Vodafone and Telecom Italia, which launched their services in 1993. The incumbent Greek operator, OTE, was then totally excluded from the tender. A licence for mobile networks was granted to OTE in 1995, which launched its services in 1998. At the same time, the government started the privatisation of the incumbent, a procedure that ended in 2008, 14 years later. The key law for liberalisation of communications was enacted in 2000. The EU Framework on electronic communications networks and services was initially transposed into national legislation with a significant delay in 2006. The revised Electronic Communications Framework was transposed into national legislation through Law 4070/2012. In the media sector, the liberalisation of the market in Greece and the transition from the state-controlled radio and television to the regime of radio and television operated by privately owned companies has been the result of a de facto development in the market that occurred before the appropriate legal framework. An immediate effect of this is that the market developed in a totally unregulated way. Few of the free-to-air television stations still operate with a temporary licence, and the majority of the free-to-air radio and television stations operate legally under certain temporary provisions, in a very muddy legal environment. In October 2015, Law No. 4339/2015 entered into force, introducing the provisions on the authorisation of digital terrestrial television broadcasting content providers. The decision-making procedure in Greece is divided and fragmented. The basic framework is set out in the acts that are enacted by Parliament. There is, however, an enormous quantity of secondary legislation that involves decisions that must be taken jointly by different ministers and three independent authorities. These are the regulator for telecommunications, the National Commission for Telecommunications and Post (EETT), the National Council of Radio and Television (ESR) and the Competition Committee (CC). The situation gets more complicated, as whereas the ESR is an independent authority that is established by the Greek Constitution, this is not the case for either the EETT or the CC. In addition to the above, issues related to data protection and privacy of communications are regulated by the Data Protection Authority (DPA) and the Hellenic Authority for Communication Security and Privacy (ADAE) respectively, both established by the Greek Constitution. Therefore, the jurisdiction of the ESR is described in the Constitution and cannot change unless the Constitution is amended, something that is, in itself, very difficult. This does not allow necessary changes in the legal regime that would lead to a more workable distribution of the issues that fall within the jurisdiction of the ESR and the EETT. The existing regime is drawn along the lines that content is regulated by the ESR and infrastructure and frequencies by the EETT. However, some types of licensing, and in all cases the licences for transmitting content, are still to a great extent granted by the ESR. On the other hand, whereas the EETT is responsible for applying the ex-ante rules for the liberalisation of the market, in all the electronic communications markets, including, therefore, that of broadcasting, and also the ex-post competition law, the CC is responsible for applying the ex-post competition law in the sector of television and radio irrespective of what technology is used. Finally, except for online gambling, e-commerce and the data protection legislation, there is no other internet-specific legislation. General provisions of law are applicable, along with certain guidelines or ad hoc decisions of the Greek DPA that are used as guidelines for the interpretation of such general provisions on specific electronic communications services. Any natural or legal person can apply to acquire a general authorisation to provide electronic communications services or networks, which is processed at once. Any natural or legal person can apply for rights of use, which will be processed within three weeks from the application for a right of use of numbers or six weeks for numbers with significant economic importance; applications for rights of use of frequencies will be processed within six weeks if there is no limitation of the number thereof or up to six months from the application if such a limitation is imposed. With the exception of free spectrum bands, for all wireless services an individual right to use frequencies is required and is granted by the competent authorities upon a relevant request. Only if the spectrum available is not enough to cater for existing demand from existing or new competitors will a limitation on the number of individual licences be effected. This will be the result of a public consultation that the EETT must prepare following a ministerial decision to that effect. If, as a result of that consultation, the number of individual rights has to be limited, the EETT must decide how this limited number of individual rights will be granted. Any kind of tender can be held in accordance with the principles of transparency, etc, that are set by Greek law in accordance with EU directives. In practice, in cases of limited number of rights of use of frequencies, the EETT usually awards them through auctions. As far as licences for antennas and base stations are concerned, the relevant framework has been reviewed to deal with the bureaucracy and the incomplete framework that led to severe delays in the issuance of licences. The main target of the new process is to accelerate the process by establishing a one-stop shop for applications. The duration of general authorisations is indefinite. The duration of rights of use of frequencies is defined in the relevant EETT Decisions, awarding the rights of use. Fees imposed on operators with a general authorisation are paid on an annual basis and derive from a formula included in the EETT Decision on General Authorisations. The main factors taken into account for the calculation of the fees are the total turnover from electronic communications networks or services minus the wholesale interconnection and roaming costs paid to other operators. The fees are equal to a percentage that varies depending on the net revenues, calculated as described above. Fees for use of numbers are defined for each series of numbers in a decision of the EETT on allocation of numbering resources. Fees for rights of use of spectrum are imposed by decision of the EETT and are usually paid on an annual basis, except for rights of use of frequencies that are granted through competitive procedures, such as auctions, in which case the EETT only defines the minimum bid, and the final fees result from the auction procedure. All the telecoms operators are obliged to have registered themselves under the general authorisation regime and be granted individual rights to use frequencies or numbers and the appropriate licences for every antenna they use. Apart from that there is no other substantial difference in relation to the regulation of fixed, mobile and satellite services. There is no exclusivity granted to any operator in any sector. However, there are a limited number of licences with regard to 2G, 3G and 4G mobile and fixed wireless access (FWA) and digital television networks. According to the relevant legislation, EETT proceeds to a public consultation that leads to a proposal by EETT to the Minister of Transport concerning the way in which licences will be granted, the cost, the duration of the entitlement, etc. Spectrum licences and applicable secondary legislation specify the permitted use and the technical characteristics of equipment that may be used, to the extent that specifications are required, taking into account the principle of proportionality and technological neutrality. The law allows for spectrum trading under specific conditions. In order to transfer, lease or make any change in the control of the rights holder, an application must be filed to the EETT that considers the relevant application and decides based on specific criteria defined by law. Following the deregulation of the retail fixed calls markets in 2013, the EETT decided to also deregulate the market of fixed retail access to publicly available telephony networks in December 2016. Currently, the only retail market that is still subject to ex-ante regulation is the market for retail leased lines with capacity up to 2Mbps. The incumbent (OTE) has been found to have significant market power (SMP) in this market. The incumbent OTE has also been designated an SMP operator in the following wholesale markets: fixed origination, termination to individual fixed networks, local loop unbundling (LLU), wholesale broadband access, terminating segments of leased lines. All fixed network operators have been designated as having SMP in the markets for termination to individual fixed networks and all (three) mobile network operators have been designated as having SMP in the markets for termination to individual mobile networks. The ex-ante regulatory obligations for transparency, price controls, cost accounting separation, access to and use of specific network facilities and non-discrimination have been imposed on SMP operators in the above markets (with few exceptions in specific markets). In Q3 2015, the EETT performed a public consultation on the retail and wholesale access markets. In practice there are no cable networks in Greece. Access to the local loop or LLU is regulated. OTE is designated as an SMP operator and specific obligations are imposed upon OTE, namely access to the local loops and associated facilities (eg, collocation), transparency, non-discrimination, price control, cost accounting obligation and accounting separation. The market analysis of the local access market, which designated OTE as an SMP operator, imposed an obligation to provide access for the deployment of NGA Networks based on VDSL Vectoring infrastructure and services by other operators through a process managed by EETT for the assignment of local sites to operators. The interconnection market is regulated. Concerning the fixed market, OTE is designated as having an SMP position and specific obligations are imposed upon OTE. In cases of interconnection disputes, the EETT can intervene through the standard dispute resolution procedure, provided for by the Law on Electronic Communications. Prices of wholesale interconnection services that are regulated are defined on the basis of cost-orientation. With the exception of free spectrum bands, an individual right to use frequencies is required for all wireless services and is granted by the competent authorities upon a relevant request. Only if the spectrum available is not enough to cater for existing demand from existing or new competitors will a limitation on the number of individual licences be effected. This will be the result of a public consultation that the EETT must prepare following a ministerial decision to that effect. If, as a result of that consultation, the number of individual rights has to be limited, the EETT must decide how this limited number of individual rights will be granted. Any kind of tender can be held in accordance with the principles of transparency, etc, that are set by Greek law in accordance with EU directives. The aforementioned rules are also applicable in the assignment of unused radio spectrum. No change of permitted use is allowed. The law allows for spectrum trading under specific conditions. In order to transfer, lease or make any change in the control of the rights holder, an application must be filed to the EETT, which considers the relevant application and decides based on specific criteria defined by law. A general obligation to provide access to MVNO operators is imposed on mobile network operators (MNOs) through a relevant provision included in the rights of use of frequencies. However, this obligation does not specify the pricing or non-pricing terms of access provision. Call termination on a mobile network is regulated, as all MNOs have been found to hold an SMP position in the market for termination of calls to their mobile network. Mobile termination rates are regulated on the basis of the cost-orientation principle and a series of additional obligations (access, transparency, non-discrimination, accounting separation) have been imposed on MNOs with an SMP position. The provisions of the EC Roaming Regulation have been fully implemented as of 15 June 2017. With regard to next-generation mobile services, all individual licences issued in 2003 with regard to 3G mobile networks provided for specific coverage obligations for the operators. Such obligations continued to exist after the individual licences under the previous regime were adjusted to the current regime of individual rights of use of spectrum. These were relaxed in practice because of the slow development of technology and demand, but such conditions have now been fully covered. Generally, the law allows EETT to impose such obligations and until now EETT has done so, but as a rule these obligations are rather limited and EETT is not strict in their implementation, bearing in mind the development of the market. The most important development in this field has been the award of rights of use of frequencies in the 800MHz to 2,600MHz band to MNOs for the provision of electronic communications services through an auction in October 2014. The 800MHz frequencies were previously used for analogue broadcasting. With the exception of radio and TV legislation, online gambling legislation, the provisions of the Greek presidential decree implementing e-commerce and the data protection legislation, which includes specific provisions on internet services, there is no specific national regulation. The general provisions of law and relevant EC framework, recommendations, opinions and self-regulation instruments also affect the provision of internet services. There are no specific limits on an internet service provider’s freedom to control or prioritise the type or source of data that it delivers. The EU legislation is fully implemented. There is an obligation for structural separation for entities that provide services in the public telecommunications sector using exclusive or special rights granted to them by the Greek state. Functional separation was introduced by Law No. 4070/2012 as a remedy that may be imposed by the regulator to SMP operators, under the conditions stipulated in law, which are in accordance with the relevant EU directive. However, in practice the issue has not been raised by the EETT and no relevant consultation has been undertaken. Apart from that, accounting separation could be imposed on operators with SMP in specific markets and has indeed been imposed on the incumbent in the markets where it has been found to hold an SMP position, as well as MNOs in the mobile termination markets. special provision for disabled users. According to the decision on cost allocation, the cost is undertaken by all operators authorised under the general authorisation regime (including the incumbent), by a proportion depending on their total revenues deriving from the provision of electronic communications networks or services, provided that their turnover exceeds €15 million. The designated Universal Service Provider, OTE SA, has already applied for compensation concerning the net cost of the Universal Service Obligation for the years 2010 to 2015. On 14 December 2017, EETT issued its final decision (published February 2018) for the net cost of universal service for the year 2010, which stipulates that the net cost amounts to € 24,831,663 and it notes that it is an unfair burden for OTE SA. On the same day, EETT also issued its final decision for the net cost of Universal Service for the year 2011, which stipulates that the net cost amounts to €21,982,162 and it also notes that it is an unfair burden for the designated Universal Service Provider, OTE SA. Number allocation includes primary and secondary allocation. Numbers are primarily allocated by the EETT by awarding ‘rights of use of numbers’ following application of the providers that have obtained a general authorisation covering services that justify the use of the requested number range. Providers may proceed to secondary allocation to users. No third-level allocation is permitted (allocation from one user to another). The decision on the allocation of numbers is issued within three weeks from the date of submission of a complete application. The fees for allocation and use of numbering resources (for the first year) must be paid within two weeks from submission of the application. In case of rejection of the application, the allocation and usage fees are reimbursed to the applicant. The allocation is valid until the due date of payment of the annual usage fees of the coming year and is renewed upon payment of the annual fees every year. Number portability applies to fixed and mobile numbers and to the following special categories of numbers: corporate and VPN access numbers (50), personal numbers (70), freephone numbers (800), shared cost (801), numbers for services with maximum charge (806, 812, 825, 850, 875), numbers used for calling cards services (807), numbers for access to data services (896, 899) and premium charge numbers (90). Portability requests are addressed to the recipient provider, which communicates the request through the national portability database to the donor-operator. Portability for both fixed and mobile numbers must be completed within one working day from the date of acceptance of the portability request from the donor-operator. However, for fixed numbers, when the portability request is submitted jointly with an LLU transfer request, the numbers are ported on the date of transfer and activation of the local loop, which technically extends the deadline for fixed numbers. Customer terms and conditions for the provision of electronic communications networks and services are subject both to general consumer protection legislation and to sector-specific regulation and particularly to the General Authorisation Regulation of EETT, which defines the minimum content of such terms and conditions. There are no relevant specific limits. The EU legislation is fully implemented. In Q4 2017, the EETT performed a public consultation on specific issues of Regulation (EU) 2015/2120 of the European Parliament and of the Council ‘laying down measures concerning open internet access and amending Directive 2002/22/EC on universal service and users’ rights relating to electronic communications networks and services’, but its decision is not published yet. There is no legislation or regulation specifically addressing digital platforms. In the fourth round of market analysis referring to the market for wholesale fixed local access, the EETT found once more that the fixed incumbent OTE holds an SMP position in these markets and imposed additional obligations related to the deployment of NGA networks through VDSL Vectoring. These obligations include the provision of information on the incumbent’s local access network for the purpose of assignment of specific local sites to other operators with the obligation to deploy VDSL Vectoring infrastructure following an allocation process managed by the EETT. The operators that are assigned specific areas (local sites) also undertake obligations related to the terms of provision of services at wholesale level. In addition to the general provisions on data protection, special provisions have been imposed by law concerning data protection in communications. The DPA is responsible for monitoring the implementation of relevant legislation. Furthermore, the Constitution provides for an independent ADAE, which is responsible solely for the communications sector and has issued relevant secondary legislation (the Regulations). The ADAE sets the rules that must be followed by all telecommunications operators and service providers in safeguarding secrecy in telecommunications, being a constitutionally protected right. Specific regulation requires operators to assist the government to lawfully intercept telecommunications messages after the intervention of the public prosecutor when a major crime is being investigated and under the supervision of the ADAE. The ADAE sets the rules that must be followed by all telecommunications operators and service providers in safeguarding secrecy in telecommunications, being a constitutionally protected right. The relevant EU directive has been fully implemented in Greece (Law No. 3917/2011). Operators and service providers must destroy customer data 12 months after the time of every communication unless otherwise specifically requested by the public prosecutor. Operators and service providers are not compensated for their efforts. Following the annulment of the Data Retention Directive (Directive No. 2006/24/EC) by the European Court of Justice, the national legal framework on data retention is under review, but remains in force. The relevant EU directives have been fully implemented (Law No. 3471/2006). Data controllers and processors are required by law to ensure the implementation of appropriate organisational and technical measures to ensure protection of personal data. Security obligations of electronic communications networks and services providers are mainly governed by article 37 of Law No. 4070/2012 and relevant ADAE Regulations (ADAE Decisions Nos 165/2011, 205/2013). There is no legislation or regulation addressing specifically the legal challenges raised by big data. Law No. 3917/2011 imposes on operators an obligation to store in Greece all data retained in compliance with the data retention obligation for 12 months. The initial wording of the law in 2011 required retained data to be ‘generated and stored’ in Greece. This was amended in 2013 and the current framework only refers to the obligation to ‘store’ such data in Greece and retain it for a period of 12 months. Deployment of NGA networks (vectoring) is in full progress by EETT. Public consultation is under way regarding the enforcement of a new regulation for deployment of NGA networks via VDSL Vectoring technology in the access network. See question 1. In February 2014 the EETT completed the procedure for the award of the first licence for digital television network, which was awarded to Digea. In April 2014, the EETT issued a Decision on the techno-economic model to be used in order to define the price caps to be charged by Digea to operators. According to the applicable legislation, it is relatively simple to obtain a licence for pay-TV via cable or satellite, as it requires an application by a company having the form of a société anonyme, there is no limit on the number of licences granted and there is an obligatory period within which the licence must be granted jointly by the ESR and the Minister, or refused. Breach of this period without a response from the ESR is considered to be a silent approval. The decision is a joint decision of the ESR and the Minister, meaning in practice that the Minister is bound to issue a ministerial decision in line with the proposal of the ESR. The Minister cannot refuse. An application can be made from any company in the EU having the form of a société anonyme. Licensing for terrestrial pay-TV and free-to-air TV is more complicated, based on a tender. Law No. 4339/2015 has defined the process and key conditions for the award of licences to digital terrestrial TV content providers. Issues that will be evaluated are the extent of the investment, financial reliability, experience and existing position in the market in order to avoid concentration, as well as the kind of programmes that will be transmitted. See question 19 for further details on the licensing framework. According to the applicable legislation (Law No. 3592/2007), controlling more than one licence holder in the television or radio sector is prohibited. Everyone is allowed to participate in more than one licence holder in television or radio to the extent that he or she does not control more than one (a person has control over a licence holder if it can substantially influence the decision-making process or it has the power to appoint at least one member of the board of directors or an administrator in another operator). Foreign investors have the opportunity to participate in broadcasting activities in Greece, subject to the generally applicable restrictions. The concentration of media is prohibited. Concentration in media is considered to exist if an undertaking acquires a dominant position that is defined in Law No. 3592/2007, which provides also for complementary application of Competition Law No. 3959/2011. The Competition Commission is the competent authority to consider issues of concentration in the sector or any other competition law issues. Market share is calculated on the basis of income from advertising and exploitation of programmes or provision of other similar services during the previous year. Law No. 4339/2015 sets the following restrictions on shareholders holding more than 1 per cent, board members and legal representatives of entities that participate in tenders for digital terrestrial TV content providers: non-convictions by irrevocable court decision for specific crimes; and non-participation in any manner in companies conducting research in the radio or TV market and in advertising companies. The law also refers to the general prohibition from participating in companies that execute public contracts and require licence applicants to submit evidence proving how the applicant acquired the financial means used or intended to be used for the operation of the content provider. There is no suggestion of any change to the regulation of cross-ownership. According to the applicable legislation (Law No. 3592/2007, Law No. 4070/2012 and Directives for Television without Frontiers), analogue licences to transmit free-to-air radio programmes and digital terrestrial pay-TV and radio are granted through a tender. The digital television network licences were granted through an auction in February 2014. Regarding licensing of content providers for free-to-air digital terrestrial television, the licensing requirements are defined in Law No. 4339/2015, as mentioned above. The law provides for the award of licences through an auction conducted by the ESR, following the relevant ministerial decision. Special conditions shall be defined by the ESR, but the law sets requirements with respect to the legal form, the minimum capital, the requirement to identify shareholders, technical infrastructure, programme content, number of employed personnel, etc. Law No. 4367/2016 amended Law No. 4339/2015 by adding a new article 2, which gave the power to the Ministry to perform the first auction for the provision of free-to-air TV licences. The number of licences to be awarded through this process was set to four. In 2016 the Minister initiated the process for the assignment of four free-to-air licences. The auction was performed and completed in September of 2016, but the Council of State (Supreme Administrative Court), following appeal of the participants and existing TV operators, found that the process for the award of the licences by the Minister violated the Constitution and annulled it. Article 2A, which awarded the relevant powers to the Minister, was abolished and the process for the award of free-to-air TV licences shall be conducted by the ESR. On 6 July 2017, the ESR issued a decision defining that the number of TV licences to be awarded through the tender will be seven. On 27 November 2017, the ESR initiated the process for the assignment of seven free-to-air licences. Representatives of six media companies submitted applications to the ESR for a forthcoming tender for private television licences. The six applications were from the companies representing Skai, Star, Alpha, ANT1 and Epsilon and from a firm called Tileoptiki Elliniki. Mega channel did not submit a tender, prompting employees to air a televised protest. A new TV licence competition will be held in 2018 for the seventh licence. Finally, five channels have submitted requests for annulment of the tender No. 1/2017 before the Council of State. The hearing will take place on 4 May 2018. The general provisions on radio and television content apply, meaning that the programme must adhere to the general principles of the Constitution and there are further obligations concerning minors, rating of the programmes, advertising, pluralism and non-discrimination, etc. In fact, the Directives for Television without Frontiers are implemented in Greek law by Presidential Decree No. 109/2010, and apply to providers that are under the jurisdiction of Greece as defined therein. With a few exceptions, this also applies to programmes and programme providers that originate outside the EU. In the case of pay-TV, the agreements between programme administrators and the holders of a licence (the platform operator) must be approved by the ESR. Only notification and not approval is needed in the case of an agreement with providers concerning a programme that has already been transmitted in public from a licensed free-to-air station in Greece or in another country. The EU legal framework has been transposed into national legislation. No regulation applies to online and mobile content. The broadcasting of foreign-produced programmes is regulated by the same regulations that are applicable to Greek programmes. There are minimum quotas for European content and an obligation that the foreign-produced programmes in a language other than Greek must be subtitled, which is applicable only to free-to-air TV and pay-TV, but not to online or mobile content. Broadcast media advertising is regulated in accordance with Presidential Decree No. 109/2010 and the Open Frontiers Directives, fully implemented, which are not applicable to online advertising. The latter is regulated by general provisions in the legislation concerning e-­commerce and the protection of the consumer. Furthermore, the recently established Electronic Media Business Register aims towards the registration of all online media. The relevant Register and its members were published on 18 April 2017 on the website of the Ministry of Digital Policy. Only online media providers that are registered are eligible to receive state advertising. There are no regulations specifying a basic package of programmes that must be carried by operators’ broadcasting distribution networks, the only exception being the obligation on these operators to provide some spots with ‘social’ content. According to the applicable legislation (Law No. 3592/2007) new media content and its delivery are regulated in the same way as traditional broadcast media. The relevant legislation (Law No. 3592/2007) is in place and sets the framework. The schedule and technical specifications for the digital switchover have been defined by Joint Ministerial Decisions. According to these decisions, the switch-off of analogue broadcasting and completion of digital broadcasting was scheduled to be completed within 325 days from 7 February 2014 (date of award of the Rights of Use of Frequencies for terrestrial digital broadcasting) (ie, by 29 December 2014). However, according to Digea’s public announcements, the last switchoff was scheduled for 6 February 2015. Regarding the reallocation of freed-up frequencies (digital dividend), the EETT performed an auction in October 2014 for the award of freed-up frequencies at the band of 800MHz and 2,600MHz, which was concluded with the award of these frequencies to the three existing MNOs for mobile broadband (4G/LTE). The existing regulation does not restrict how broadcasters can use their spectrum. The provision of broadcasting services over broadband networks requires a network operator and a content provider, who may be the same or different entities. The provision of television and radio services via terrestrial digital technology (using radio frequencies allocated for broadcast television and radio digital signal) requires a network provider of electronic communications and a content provider. The network provider and the content provider are required to be separate entities. The main activity of Digea Digital Provider Inc (Digea) is to provide networking and multiplexing, as well as network broadcasting for any legitimate TV station wishing to use its services. In essence, Digea creates the network and transfers the content of the channels, as delivered to its systems. Following EETT’s plenary decision in February 2014, Digea was granted all spectrum rights of use of national and regional coverage to develop digital terrestrial television network. After the successful completion of the tender process by EETT, Digea has developed infrastructure for the digital terrestrial television networks and the last analogue broadcasting to be switched off was on 6 February 2015. According to the licence granted by the national regulatory authority (EETT), the digital network provider (Digea) has the obligation to serve all licensed programmes under the same conditions (non-discriminatory treatment). In February 2014 the EETT completed the procedure for the award of the first licence for a digital television network. In October 2015, Law No. 4339/2015 defined the process and conditions for the award of licences to digital terrestrial TV content providers. The law provides for a limited number of licences, the exact number of which shall be defined by ministerial decision. The government has stated its intention to award a very limited number of licences with national coverage (statements at the beginning of 2016 referred to five national coverage licences). The law also provides for other categories of licences defined on the basis of coverage range (national or regional) and on the basis of content (informative, etc). However, certain provisions of the law were annulled by the Council of State and the procedure for awarding of licenses shall take place in the near future. Moreover, a new act has been prepared for the procedure for award of licences for digital radio stations in Greek territories. the DPA: an independent authority responsible for protection of personal data in all sectors. Decisions of the regulators can be challenged at the Administrative Appeal Court and the decisions of the court can be challenged at the Council of State. Major regulatory issues are challenged directly at the Council of State. Decisions that impose fines, etc, can be challenged in their substance and with regard to the appropriate application of law and procedural rules at the Administrative Appeal Court. All regulatory decisions and any decisions brought before the Council of State are challenged only with regard to the appropriate application of law and procedural rules, and not on the substance (the facts) of the case. Vodafone Hellas has filed a complaint against the incumbent’s subsidiary, Cosmote, for alleged abuse of dominant position in the prepaid. In Q3 2017, the EETT imposed a €6.3 million fine on OTE (€3.5 million for violating free competition laws and €2.8 million for breach of regulatory obligations, claiming the amount was determined based on the severity of the violations and to ensure fair market practices are adhered to) following an investigation launched after complaints were filed by competing telecoms provider Forthnet, as well as mobile companies Wind Hellas and CYTA. Also, the Greek government has launched an international tender to sell a 5 per cent stake in former monopoly telco OTE (Cosmote), a move in line with Greece’s international economic bailout terms. Privatisation agency Hellenic Republic Asset Development Fund (HRADF, or locally TAIPED) announced on its website the start of the process for the acquisition of 24.51 million common registered shares in OTE SA, ‘to be conducted in one phase’, requesting that interested investors submit their binding offers, in accordance with the Request For Proposal posted on the HRADF website, no later than 15 March 2018 (with a 7 March deadline to request clarifications). Germany’s Deutsche Telekom (DT) who own a 40 per cent stake in OTE and have pre-emptive rights on the 5 per cent stake to be tendered, exercised its right to purchase the additional 5 per cent stake in OTE for €284.05 million. The Greek state shares joint management control with DT, while retaining a 10 per cent stake, half of which was transferred to the HRADF in November 2016 for subsequent sale. 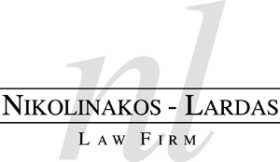 Nikolinakos - Lardas is an Athens-based law firm built upon a strong regulatory, competition law, intellectual property, dispute resolution, and transactional/corporate foundation.